This page compares a Tamron mirror lens with a Canon telephoto: the Canon is the clear winner in quality, but the mirror lens is considerably cheaper (another advantage). Only one reflex lens — Sony’s 500mm f/8, still available — has ever had autofocus; the rest are manual lenses. 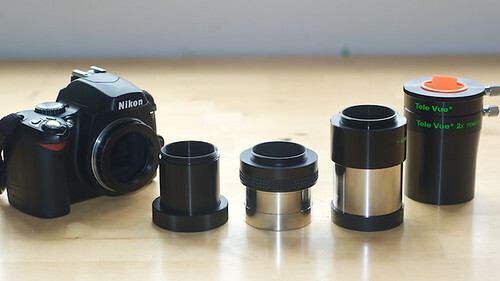 There’s a mirror reflex lens group on Flickr, and an (inactive) blog about mirror lenses. 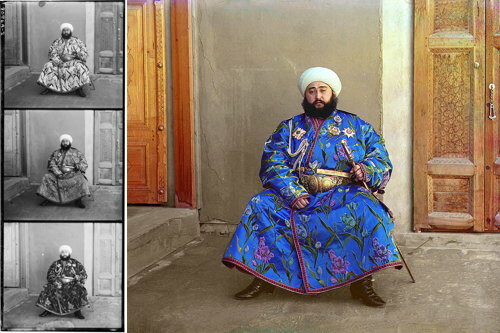 In 1948, the Library of Congress purchased a collection of colour images taken by Russian photographer Sergei Mikhailovich Prokudin-Gorskii (1863-1944). Taken during a series of surveys of the Russian Empire on behalf of the Tsar prior to World War I, these photos were produced by taking a series of black-and-white photos through red, green and blue colour filters; Prokudin-Gorskii created colour images by combining the images with a special projector using the same filters. (This method is still used by astrophotographers, who use specialized monochrome CCDs to take a series of images through special filters.) The result, when processed with modern-day tools (hello, Photoshop), is a series of stunningly vibrant colour photos from a period otherwise remembered in sepia, and from a part of the world not often seen in the West, even at the time. A total of 2,607 images are available in the LOC’s Prokudin-Gorskii Collection; an online exhibition from the LOC and The Big Picture offer some of the more stunning examples. Above: a portrait of the Emir of Bukhara. Last week I bought another new lens — Nikon’s 105mm macro lens. (That makes seven, in case you’re wondering.) I took advantage of the Henry’s eBay channel and got it for more than $200 less than it would have normally cost, but it’s still the most expensive lens I’ve ever bought. (I have another lens that costs more new, but I bought it used.) It’s also the heaviest: at 750 grams, it weighs more than the camera it’s attached to. The thing is a tank — no surprise there, it’s a professional, full-frame lens. I’ve had a chance to run it through its paces a bit; here are my test shots. I bought this lens for four purposes: as a macro lens (natch), as a portrait lens, as a fast telephoto prime, and for astrophotography. I haven’t gotten good results using it for macro photography: a fast macro lens isn’t much good, because there’s absolutely no depth of field at f/3, so I need to stop it down and throw some more light at my target (one of these will probably be necessary at some point). There’s a lot of focus travel, so it can be a bit challenging keeping moving snakes in focus; I imagine I’ll be suffering some frustrations there. But as a portrait lens and telephoto prime, it’s fantastic — so scary-sharp that I can crop like crazy and still end up with a great image. I haven’t tested it for wide-field astrophotography yet, but I’m betting the ED glass will yield good results. 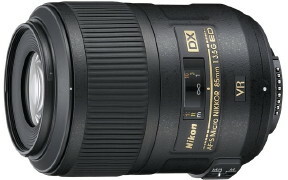 A new lens announced today (alongside the Nikon D3s) is confounding my lens purchasing plans. 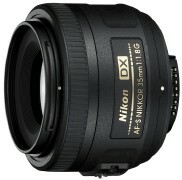 The AF-S DX Micro Nikkor 85mm f/3.5G ED VR (Amazon) is a macro lens for Nikon DX-sensor cameras. It looks like it’ll be cheaper than the full-frame 105mm f/2.8 macro lens I had been considering, which is a definite plus; on the other hand, at f/3.5 it would not be as useful for non-macro purposes (i.e., astrophotography and portraits). I’m sure I’ll have plenty of time to investigate and ponder: it won’t be available until December, and I won’t really need a macro lens until the spring. The best camera is the one that’s with you, says photographer Chase Jarvis. He’s talking about the iPhone’s built-in camera. The point being, if you have your iPhone with you at all times, you have a camera with you at all times, and while the quality of the iPhone’s camera may be several orders of magnitude less than a digital SLR, you didn’t bring that big, bulky camera with you, now, did you? Trouble is, I can’t justify owning an iPhone, and I’ve been unimpressed with the other camera phones that were available when I was shopping for a mobile phone. I can hardly take my Nikon D90 with me everywhere I go; I’m too weighted down as it is. To be honest, I was kind of hoping that the iPod touch would get a camera this year, but it didn’t (for one thing, it’s too thin for the iPhone’s camera). 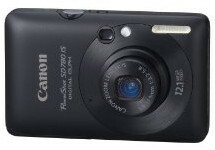 Instead, I settled on the Canon SD780 (Amazon), a tiny compact point-and-shoot camera. (Fortuitously, Henry’s has it on sale this week.) I’m sure I’m going to find its limitations annoying (“what do you mean there’s no aperture-priority mode?”), but it’s so small I’m liable to lose it in my pants pocket. Which is to say that if I stumble across something photo-worthy, I’m going to have this camera on me — and a photo taken with an inexpensive camera with a tiny sensor is better than no photo at all. I recently had someone ask me how to connect a camera to a telescope. I answered him by e-mail, but then I thought that it would be a good subject for a blog entry. Fortunately, taking photos through a telescope is not at all difficult, but it does involve a couple of pieces of equipment that photographers may not be familiar with. First, some definitions. There are several ways to attach a camera to a telescope. Prime focus attaches the camera directly to the telescope, turning the telescope into a great big camera lens. Afocal photography positions the camera, with its lens attached, at the eyepiece; this is done either freehand (holding the camera up to the eyepiece), through an adapter that connects the eyepiece to the camera, or through a mount that holds the camera in place in front of the eyepiece. Finally, eyepiece projection keeps the telescope eyepiece but removes the camera lens: the eyepiece projects the image directly onto the camera’s sensor; an adapter like this one connects the two. 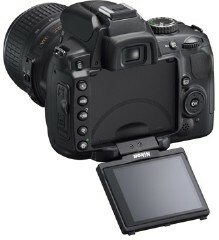 There is no mirror lock-up mode per se on the Nikon D90; instead, there is a feature called “exposure delay” (menu item d10, under custom settings) — it lifts the mirror up a second or so before the exposure is taken. (The D80 also had this, but the delay was apparently shorter.) Mirror lock-up is used to reduce vibration from mirror slap. In a single-lens reflex (SLR) camera, the mirror flips up and down with each exposure; this can jiggle the camera on long exposures. So night photographers and astrophotographers like having mirror lock-up available. On the other hand, on really long exposures of several minutes, a second’s worth of vibration won’t be noticeable. Nikon announced a new consumer-grade digital SLR this morning: the D5000. Contrary to expectations, this is not a replacement for the D40; instead, it sits squarely between the D60 (which, with the discontinuation of the D40, now becomes Nikon’s low-end SLR) and the D90. The D5000 appears to be a lot like the D90: same 12-megapixel sensor, 11-point autofocus and HD movie capacity, as well as compatibility with the GP-1 GPS unit and the MC-DC2 remote (I knew they wouldn’t have released those for just one camera). On the other hand, it’s a lot like a D40 or D60: no top LCD, no second dial, no ability to autofocus AF lenses, no commander mode for the built-in flash, no ability to use an external battery grip. And then there’s the D5000’s swivelling rear LCD, which no other Nikon DSLR has. The D5000 is considerably more expensive than the D60: when both are bundled with the 18-55mm VR lens, the D5000’s Canadian MSRP is $430 more than the D60’s. On the other hand, it’s a lot closer to the D90’s price point: the D5000 with the 18-55mm VR lens is $220 less than a similarly equipped D90; that gap drops to $200 when both are bundled with the 18-105mm VR lens. 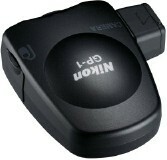 I wonder how many buyers won’t opt for a D60 (to save money) or a D90 (to add features) instead. Early previews: Digital Photography Review, PhotographyBLOG. Meanwhile, Nikon also announced a new wide-angle lens for DX cameras: the AF-S DX Nikkor 10-24mm f/3.5-4.5G ED goes a little wider than my 12-24mm f/4 lens, and is slightly cheaper (by $80 according to the Canadian MSRPs). It’s equivalent to a 15-36mm lens on a full-frame camera, and is probably the widest zoom we’re ever going to get on a DX camera. Because I write a lot about digital photography and camera gear on this here blog, I want to draw your attention to a lengthy 1,500-word review of the Nikon GP-1 GPS unit that I just posted on The Map Room. I’ve been writing about the GP-1 for some time, but only on The Map Room; if you’re wondering what it is, it’s a specialized GPS that embeds geographic coordinate data in digital image files as you take each photo. There are several ways of geotagging photos: using a separate GPS logger and syncing up the GPS tracks with the time stamps of your photos (which is kind of kludgy); tagging them manually (which is what I’ve been doing for years, using Flickr’s drag-and-drop map interface); using a camera with a built-in GPS (there are a few of these, notably some cameraphones); or using a GPS accessory like this one. This last option has been around for a while, but only for digital SLRs with PC sync terminals; this is the first one for a consumer SLR — it works with the D90 as well as higher-end cameras. Now, why would you want to geotag your photos? It’s another bit of metadata: knowing where your photo was taken can be as useful as knowing when it was taken. I imagine it’s extremely useful in field work, whether biological or criminological. But for whatever reason, quite a few people are geotagging their photos, and when a photo sharing service like Flickr supports it, as it has for years, it’s quite interesting to look at a map of a place and see what photos have been taken there. The rumours were correct; here it is: Nikon’s first DX-format prime lens: the AF-S DX Nikkor 35mm f/1.8G (product page, press release). 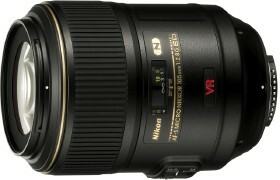 Everyone who owns a Nikon D40, D40x or D60 should buy this lens (unless they already own the Sigma 30mm f/1.4). If you only own the 18-55mm kit lens, make this your second lens (or maybe your third, along with the 55-200mm telephoto zoom). You want a standard lens in your arsenal. At 35mm, this lens replicates in DX format the 50mm standard lens on film, which is to say that it matches the human eye. You want a low-light lens in your arsenal. An f/1.8 lens will suffice in most cases; f/1.4 lenses cost more. You can shoot in darker conditions than the f/4 or so a standard zoom would allow at a similar focal length. You’ll be able to shoot with really shallow depth of field effects. It’s only US$200. 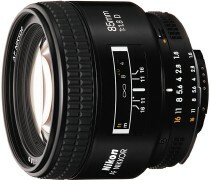 Nikon’s AF-S 50mm f/1.4 costs more than twice as much and the cropped 75mm-effective field of view is less useful. If you can afford both, or need both, fine, but the 35 is going to be more useful overall. If you own any other DX camera — basically, any Nikon digital SLR except the D3, D3x or D700 — you probably should buy this lens, too, unless you already have an equivalent fast prime (such as the older AF 35mm f/2, or Sigma’s 30mm f/1.4, the resale value of which probably just took a major hit) in your camera bag. I already have the Sigma so I won’t be getting this lens, but if I didn’t have it, I would. Via Digital Photography Review and Nikon Rumors. Previously: A DX prime lens? Nikon Rumors is reporting — here and here — that Nikon is set to announce a 35mm f/1.8 prime lens in DX format. We’ll know soon enough whether this rumour is true, but I want to address the idea of a DX prime lens, since many commenters are suggesting it’s a super-bad stupid idea. If you assume that the idea of a fast prime lens — i.e., a fixed-focal-length (non-zoom) lens with a fast focal ratio (usually f/2.8 or less) — is a good idea, then there are two problems with Nikon’s lineup of fast primes. The software is the key link, and of course the fact that I use a Mac complicates things somewhat, because the telescope companies bundle their lunar and planetary webcams with Windows-only software. Doing it on a Mac requires a couple of extra steps. Stop right now and read Webcam Astrophotography on the Mac, which covers the same ground that I’m about to (and is actually written by someone who knows what he’s talking about). Of the three new lenses Nikon announced today, I will almost certainly be buying the AF-S f/2.8 60mm macro lens just as soon as I can lay my hands on one. A macro lens is a must-have for reptile photography; a macro lens that will autofocus on a D40 (or, for that matter, the new D60, which was also announced today and which also lacks autofocus motors) is a must-have for me. The only other AF-S macro lens Nikon offered prior to this is the 105mm f/2.8 VR, which is much more expensive than this new lens, which lists at US$549 and which presumably will replace Nikon’s current 60mm macro lens, which is AF-only and won’t autofocus on a D40. Believe me, you want autofocus when you’re trying to take pictures of small snakes. Henry’s is bloody fast at delivery: it took less than two days for my order to arrive. And what was it that I ordered? Along with a new external hard drive for Time Machine purposes, I finally broke down and ordered a Sigma 30-mm f/1.4 lens, the rising Canadian dollar having knocked $120 or so off the price. This lens is essentially the only autofocus fast-prime option for Nikon D40 users. All of Nikon’s lenses in this category are AF, not AF-S: AF lenses use a camera’s autofocus motors, and the D40 doesn’t have any; AF-S lenses have internal motors. Until now, I’ve been making do with manually focusing the Nikkor AF 50-mm f/1.8 lens, but with mixed results: if the main reason for a fast prime is low-light photography, it’s hard to focus manually in low light. And the angle of field is a bit too tight. Though it’s not likely as good a lens as a Nikon, the Sigma lens is wider angle and has two-thirds of an f-stop more aperture, and it’s also got internal autofocus motors. Take seriously the camera manufacturer’s warning not to store your speedlight without removing your batteries first. I discovered last night that the batteries still inside my SB-600, which I had not used in three months, had corroded inside their compartment. The SB-600 is, as a result, all busted up. Oh, poo. And my own fault too, in a real and warranty-voiding sense. It’s some small consolation that an external flash is not a mission-critical camera accessory for me (otherwise it wouldn’t have been left unused for three months). For bounce flash purposes, I’ll probably replace it with the considerably cheaper, but much less capable, SB-400, which will be sufficient in much more cases, and more portable as well. To which I say: horseshit. You can use AF lenses with a D40; the only thing you give up is autofocus. All the other electronic trickery an AF lens is capable of still works. Nikon has just introduced the D40x, a camera very similar to the D40 but with a few added features: 10 megapixels instead of six; three frame-per-second continuous shooting instead of 2½, and a minimum ISO of 100 instead of 200. 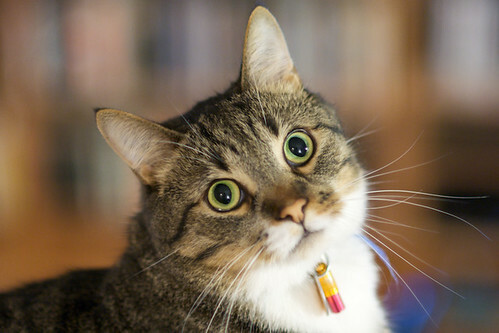 The D40x costs $250 more (in Canada) than the D40. The D40x’s enhancements are not the ones that would have been of interest to me; I’d still have to upgrade to a D80 to get those enhancements (not that I need them yet, but still). So I’m still perfectly happy with my camera kit. I still have much to learn before I start to feel I’ve outgrown it. More interesting for my purposes is the announcement of this 55-200-mm telephoto lens with vibration reduction for only $340 — only a $100 premium over the similar lens without VR. More: Engadget, Gizmodo, Let’s Go Digital. One of the things about getting a digital SLR is that the number of photos you take goes up — waaaay up. I could fill my 512-MB memory card in an afternoon’s shooting (a bit more than 200 photos, shooting at JPEG fine). So last Saturday I picked up a four-gigabyte SD card at WePC, the computer store in town. It cost a hundred dollars, about as much as the 512 did two years ago — or as much as a 128-MB card did a couple of years before that. I love falling flash memory prices. Now I can shoot up to 1,100 photos at a time — which should hold up well on weekends and vacations — or, conversely, shoot in RAW format without constraints. I must now look nervously at my remaining hard-drive capacity. 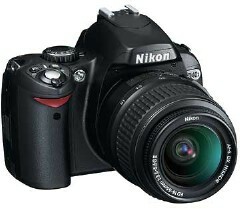 So Nikon announced the D40, its new entry-level digital SLR, this morning (Engadget, Gizmodo). The camera sites already have detailed reviews up, which of course are overwhelmingly positive (they did get pre-release review units, after all): Digital Photography Review; Let’s Go Digital. Compared to the D80, my current camera lust object, the D40 is smaller and less feature rich, but apparently not by that much. Major differences: it’s six megapixels instead of ten, and its autofocus is more limited. From the reviews, it seems to be aimed at people looking to move up from compact cameras who want more control and a faster camera, but who don’t have SLR experience and might be overwhelmed by professional kit — i.e., me. And it’s half the price of the D80. Oh dear. After years of digital SLR lust, I may finally have to break down and get this one. I’m missing Boolean operators right now. Neither Flickr’s new badges (by tag, by group) nor Tiger’s new Smart Folders allow them, at least on the surface, and they’d have been handy these past two days. You may have noticed a certain amount of hysteria out there about the presence of camera phones — cellphones with a built-in digital camera. Apparently they could be used for all sorts of malfeasance, from pantsuto fetishism to industrial espionage. Case in point: at the Newmarket reptile show last month, there was a notice on the community centre banning digital cameras in PDAs and phones. This was a community centre where selling reticulated pythons was legal, but they were deathly afraid that someone might use their phone to surreptitiously take a picture of you taking a pee. The reaction to camera phones is not unlike what happened when the inexpensive Kodak film camera was introduced in 1888 (via Kottke). This Nikon D70 review, while detailed, doesn’t focus on menu lists and histograms (see previous entry); it looks at the camera from a photographer’s perspective — i.e., what’s it like to shoot with this thing? — which is actually useful (via Gizmodo). Yes, I want one. I am very pleased to see Nikon stepping up with a quality camera which doesn’t compromise on build quality, feature set or image quality and yet offers superb value for money. There’s no risk involved in the D70’s slightly higher price compared to the EOS 300D (Digital Rebel), it’s absolutely worth it. Update: I should also mention Glen “Instapundit” Reynolds’s moonlighting-on-Gizmodo review of the D70. Also at the same time that Nikon announced the D70 (see previous entry), they announced the 8-megapixel, 8x optical zoom Nikon Coolpix 8700, an upgrade of their 5-megapixel Coolpix 5700 (via Gizmodo). Definitely tempting as an alternative to a digital SLR. DPReview has a preview of the Nikon D70, a low-cost, 6-megapixel digital SLR that is clearly meant to go up against the Canon Digital Rebel — but, at US$999 for the camera body alone and US$1,299 for the camera plus lens, it’s a bit more expensive. It’s due to be released in March 2004, so we’ll have to wait until then to see how it measures up. 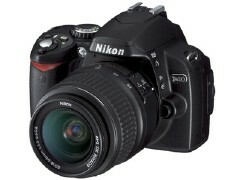 Michael Buffington notes that the specs are better than the current Nikon D100 (which he owns). See previous entry; see also Gizmodo. Here’s a new blog dedicated specifically to digital SLR photography (via Matt). I’ll have to keep an eye on this one. Derrick Story presents some reader-submitted digital photography tips (see also this). My digital photography category is going to be filled with little entries pointing to pages like these. Derrick’s going to feature in a lot of them, I suspect. A little gadget lust is part of my normal equilibrium, so it’s not too surprising that, 18 months after buying my current digital camera — a 3.34-megapixel Nikon Coolpix 995 — I’m starting to think about upgrading to a new camera. Not that I can afford a new camera — especially not a digital SLR — but it costs nothing to think about it. I’m beginning to think I should just put O’Reilly’s MacDevCenter.com RSS feed in my sidebar and be done with it. Here’s Derrick Story, he of Digital Photography Pocket Guide fame, writing about using the iPod as a digital photo storage device, thanks to the new card reader from Belkin (which, apparently, despite initial reviews, is not so slow as to be unusable). You can also view, upload, burn to CD and share (via Rendezvous — see Derrick’s earlier article on Rendezvous picture sharing) photos directly from the iPod. Mobitopia has a couple of interesting recent articles. One is a rather gushing review of Sony’s top-end Clié, the UX-50, which includes a built-in camera (640×480), Bluetooth and WiFi, but not a cradle or a portrait-mode option for the screen. And it’s pricey. The other article is a complaint about the Nokia 3650’s built-in camera. Apparently its advantage is ubiquity, not speed: you may have the camera with you, but you might not be able to take the damn picture fast enough.